THIS, friends, is a bright one. 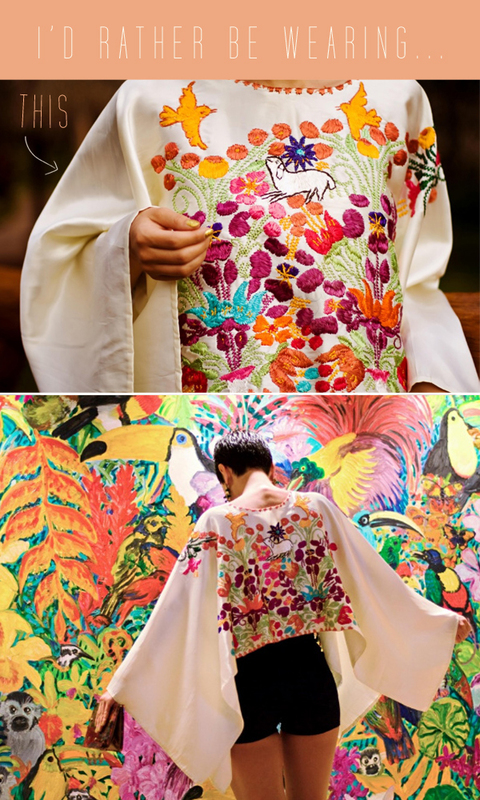 Although her vintage dress collection is outta this world, this vintage silk embroidered cape is so eye-catching. Karla, of Karla's Closet, is bold and not afraid of color with her eclectic style. And, she pulls it off in the most glamourous way. I'm drawn to her blog because we have similar body shapes, so I love seeing how she makes things work. i don't know if i would have the guts to wear so much colour! but if i did wear that i feel like i might feel the urge to run around with my hands in the air like a bird - how about you? i couldn't agree more, patience. that's exactly the first thing I would do, fly like a bird. i'm hoping it's so silky and airy that i'd never want to take it off. This cape is incredible! The details are gorgeous!